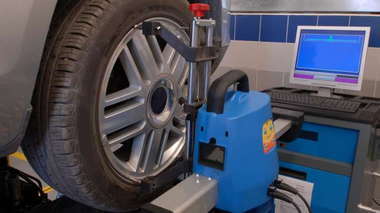 Learn about the benefits of tire alignment, the average prices, and the signs that it's time for an alignment. Nitrogen tire inflation can be expensive and high maintenance, but increase gas mileage and tire life, among other advantages. Learn the difference between radial tires and bias ply tires, and the pros and cons of each type. Learn how to determine the type of TMPS your vehicle has, and how to reset the tire pressure sensor before it becomes dangerously misleading. When drivers first discover tire puncture sealant, they're tempted to overuse it. Puncture sealant is great in a pinch, but can't replace a spare tire.